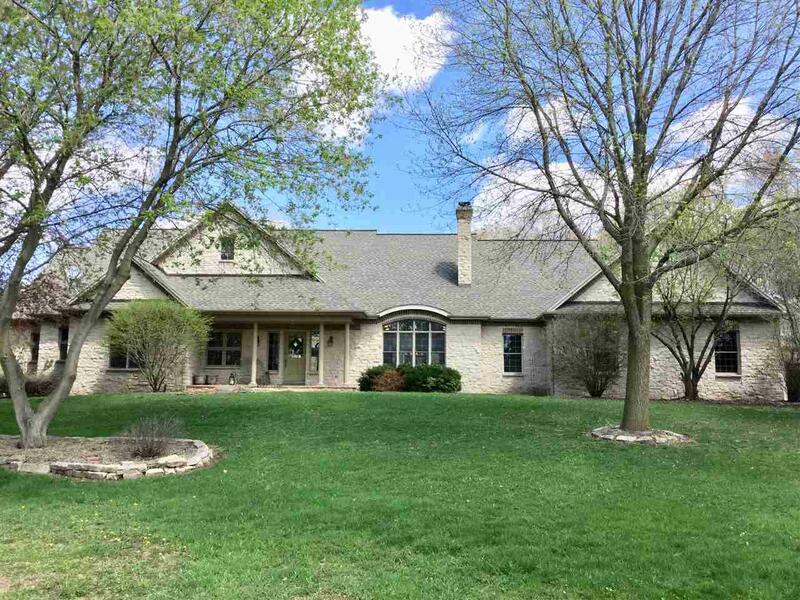 Country living w/this spacious 4+ bd. 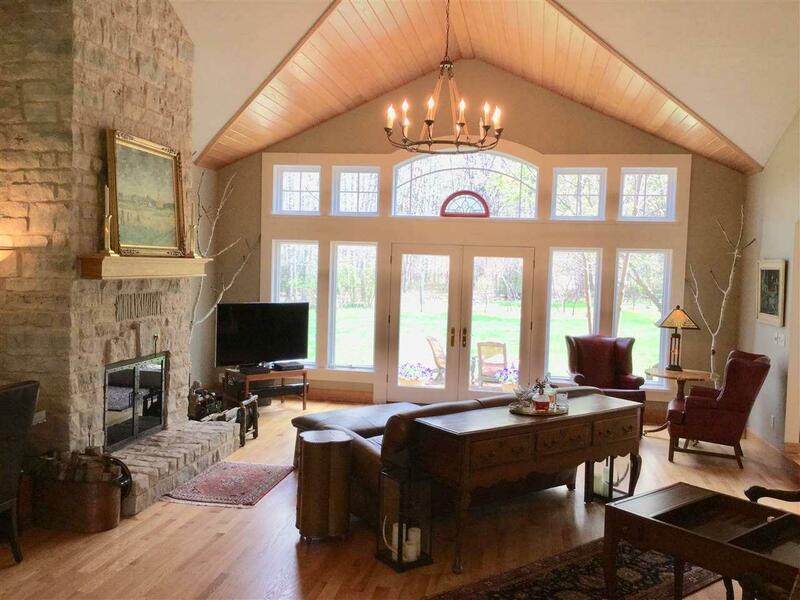 3 full & 2 half baths, 1.5 stories, on 5.25ac of beautiful wooded property. 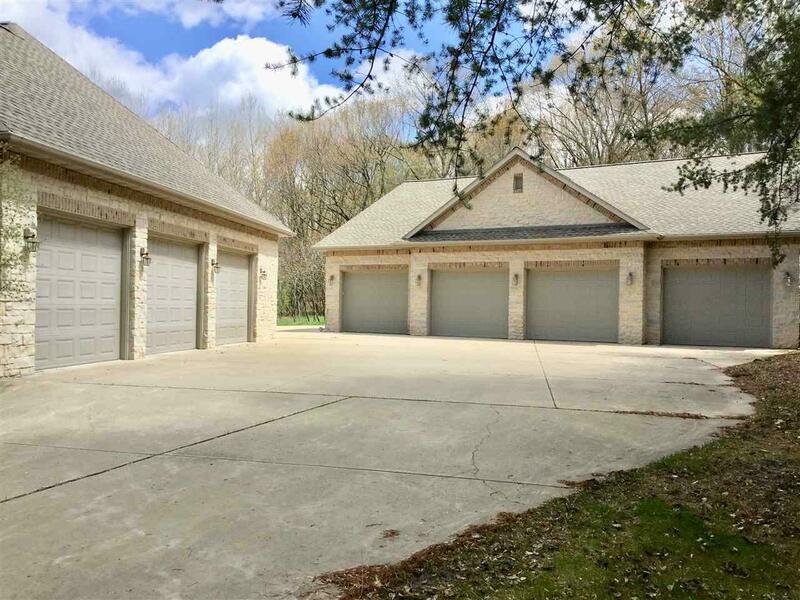 Also includes 3.5 stall, 54x28 add'tl garage w/5 doors, fully finished, heated, full bath & upper loft area. Many updates include 2 new roofs, kitchen w/granite countertops, pantry, island, double sinks, high-end appliances and gas fireplace. 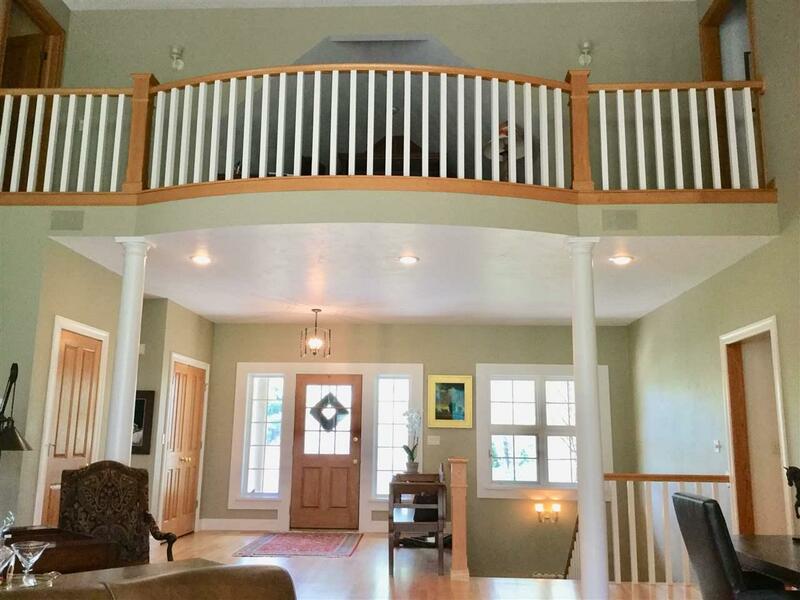 Main level has a 2-story wood FP, 2 bds, 2 baths, & 2 sets of patio doors. Upper has 2 bds w/catwalk/loft/office area. Exposed lower w/wet bar, FP & half bath. Beautiful location w/wildlife everywhere & located on the far west side of GB!